The November 5, 2017 Editorial in the Fort Wayne Journal Gazette called for more strict regulation of livestock farms. Here is our response, printed on November 21, 2017. Under-regulation of concentrated animal feeding operations is a myth. Some groups draw a straight line from “supersized factory farms” to “massive amounts of waste” to pollution of streams and rivers. But the reality on the farm does not bear this out. 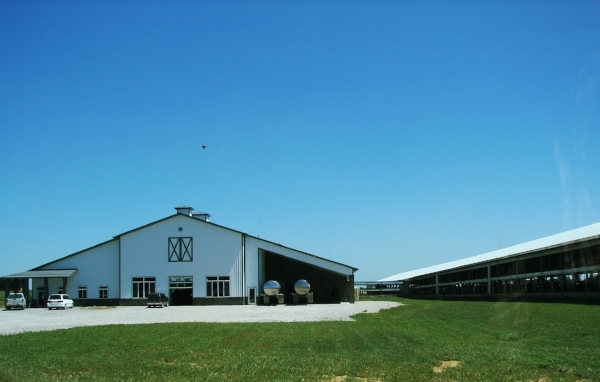 Indiana CAFOs are already designed, built and permitted as “zero discharge” facilities. That means manure and waste water cannot ever be discharged from the farm into any ditch, stream or lake. Manure storage structures are designed to hold at least 180 days' worth of manure, so manure only needs to be land applied twice a year. Manure must never encroach upon the top two feet of any storage structure as an added safety against any overflow. The consequences for farmers who have discharge events are severe under state law. The Indiana Department of Environmental Management can impose fines of up to $25,000 a day, per violation, of any water pollution control regulation. In addition, if a discharge causes a fish kill, the Indiana Department of Natural Resources can also levy fines against the farmer. Many farmers are surprised to learn that, unlike criminal defendants, there is no presumption of innocence when IDEM or the DNR accuses a farmer of polluting a ditch, stream or lake. The farmer is assumed guilty and must institute an administrative lawsuit against these state agencies if he or she wishes to challenge the findings or the amount of the fine. An environmental violation, even if ultimately proven wrong and dismissed, remains a stain on a farmer's record forever. These violations are public record, too. The IDEM commissioner already has the power to revoke an operating permit at any time, for any violation of water pollution control laws. Revocation is a death sentence for a farm, because without a permit to operate, a million-dollar investment is worth nothing. When special interest groups or others – like the editor of The Journal Gazette in its Nov. 5 editorial – argue for more regulation or longer setbacks, what we really hear is “no new livestock farms.” There is no amount of additional regulation or increased setbacks that will make CAFOs acceptable to some people. State environmental regulations are already strict, the penalties for noncompliance are harsh, and the barriers to entry are significant. Many CAFOs are never built because farmers decide these regulatory hurdles are too great. The number of farms has steadily decreased in Indiana over the last 20 years. Let's not accelerate this trend by adding more regulation to one of our most revered industries. We need more farmers, not fewer.